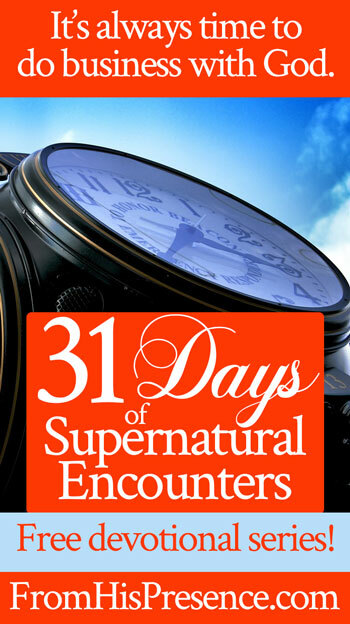 Welcome to my 31 Days of Supernatural Encounters free devotional series! There will be a new post each day in October 2017. Each day’s post is different, but every article has four short parts: Read, Know, Pray, and Listen. The series contains prophetic words, prayers, and more! Please be sure to read the posts in order, if possible, since they build on each other. As you walk through this series, I pray that you would be powerfully impacted and that Holy Spirit would take you to a new level of intimacy with Jesus. Day 6: Prophetic Word: Be Filled With Light! Day 8: Lord, Make Me Good Soil! Day 12: It’s Time To Be Bold As a Lion! Day 15: Prophetic Word: You Will Be Twice as Inhabited as Before! Day 16: Get Free from the Kool-Aid! Day 17: Who Are You Pouring Into? 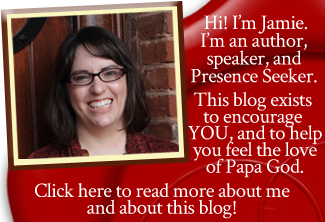 Day 21: Jesus Says: Come Back to the Raw! Day 28: Lord, Keep Me On a Short Leash! Day 31: Prophetic Word: You Are Going to Fly!